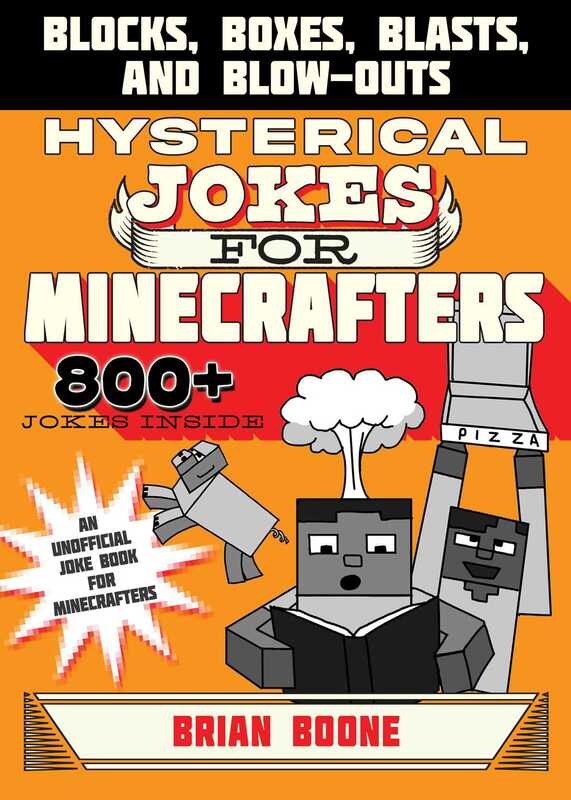 Hysterical Jokes for Minecrafters: Blocks, Boxes, Blasts, and Blow-outs is the third book in the Jokes for Minecrafters series, which includes more than 800 hysterical jokes. These clever puns and silly one-liners poke fun at everything Minecraft, from creepers and ghasts to golems and endermen. These side-splitters will have any Minecrafter rolling over with laughter! Q: How do Creepers listen to music? Q: How do you feel if you see a floating mob overhead? This joke book for kids ages 5 and up comes complete with silly illustrations to make these jokes even funnier. Whether you’re at home or school, you can have all your friends and family in stitches over these hilarious Minecraft jokes!